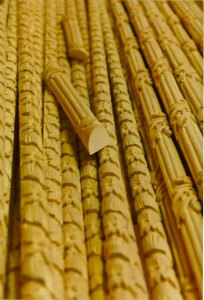 We produce fine woodcarving for architecture, interior design, and furniture. We deliver your projects on time, to budget, and to the highest caliber. No machines. Our traditional hand-carving techniques are second to none. Our work is uniquely created, so we can develop a design to fit your budget. 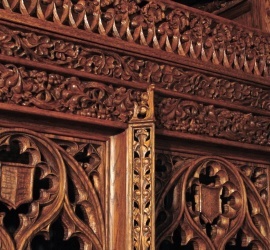 Our woodcarving will integrate seamlessly into your architectural millwork. We'll show you it's possible to create exquisite architectural woodcarving efficiently in the 21st century. We're fine-tuned by more than 35 years of magnificent commissions for residential, public, and sacred spaces. 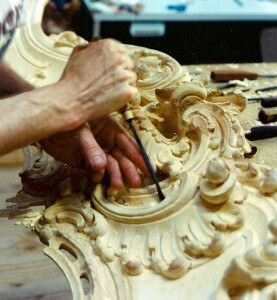 Our woodcarving is among the finest in the world, and we have the capacity to deliver to tight deadlines.